The taxicabs of New York City are widely recognized icons of the city and come in two varieties: yellow and green. Taxis painted canary yellow (medallion taxis) are able to pick up passengers anywhere in the five boroughs. Those painted apple green (street hail livery vehicles, or commonly known as boro taxis), which began to appear in August 2013, are allowed to pick up passengers in Upper Manhattan, the Bronx, Brooklyn, Queens (excluding LaGuardia Airport and John F. Kennedy International Airport), and Staten Island. Both types have the same fare structure. 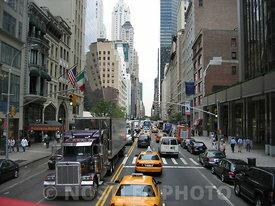 Taxicabs are operated by private companies and licensed by the New York City Taxi and Limousine Commission (TLC). It also oversees over 40,000 other for-hire vehicles, including "black cars", commuter vans and ambulettes. 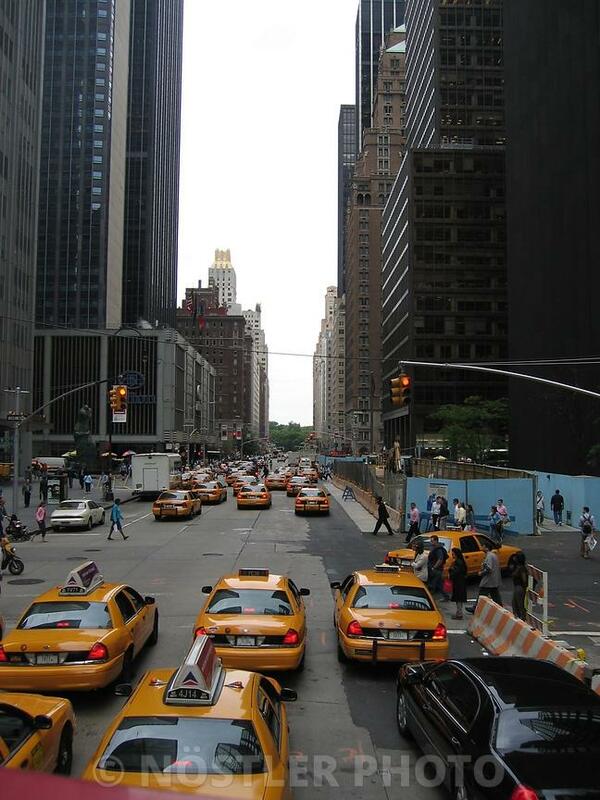 As of March 14, 2014, in New York City, there were 51,398 men and women licensed to drive medallion taxicabs. There were 13,605 taxicab medallion licenses in existence, 368 of them having been auctioned by the City of New York between November 2013 and February 2014. Each of these new medallions was earmarked for use with a wheelchair-accessible vehicle. Taxicab vehicles, each of which must have a medallion to operate, are driven an average of 180 miles per shift; the average total number of annual taxi passengers is 241 million. As of September 2012, there are around 7,990 hybrid taxi vehicles, representing almost 59% of the taxis in service – the most in any city in North America.